This 8" micro extension fits the S3111M Servo and R124F RX along with any other Futaba brand gear using this small white plug. Looks similar to traditional white JST micro plug but is actually a little smaller. We only have this plug in this and now the "Y" form. Purchase and trim to make your own pigtails. 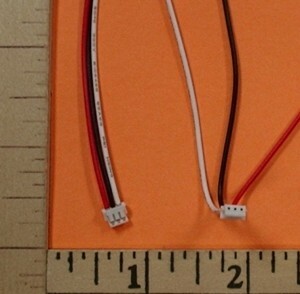 Micro Y harness compatible with Futaba 2.4G micro plugs. 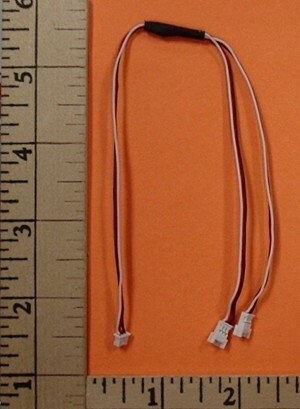 Use to convert your favorite servos to work with your micro 2.4G Futaba RX or build your own special harnesses. Photo shows 2 plugs for clairity, 1 pigtail included for each item ordered. Adapt your favorite Futaba J or universal (JR, Spektrum, New Airtronics, Hitec plugs) to fit your Futaba Micro Park Flyer 2.4g RX. 9 Inch Long. 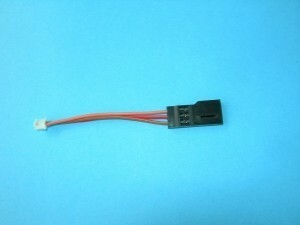 Adapt your Futaba Micro connector servo to Futaba J type RX (standard servo plug receiver). Adapt your micro Futaba J plug equipped servo into a Futaba Micro Park Flyer RX. 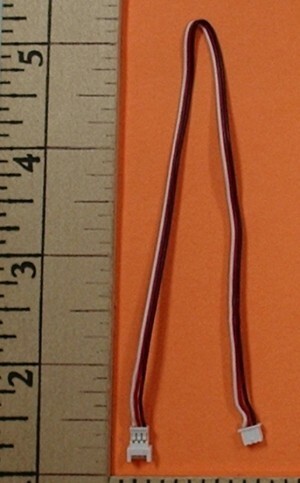 2.5" long adapter. Adapt your micro Futaba plug equipped servo into a standard Futaba J type RX. 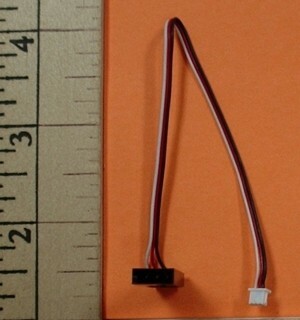 2.5" long adapter. Use to make adapters to harness for your Futaba 2.4 micro connectors.